A wrenching tale of suffering inspired by the Vel' d'Hiv roundup, Sarah's Key finds the individual humanity in a dim act of mass injustice perpetuated by the occupied French on the Jewish population of Paris during World War Two. 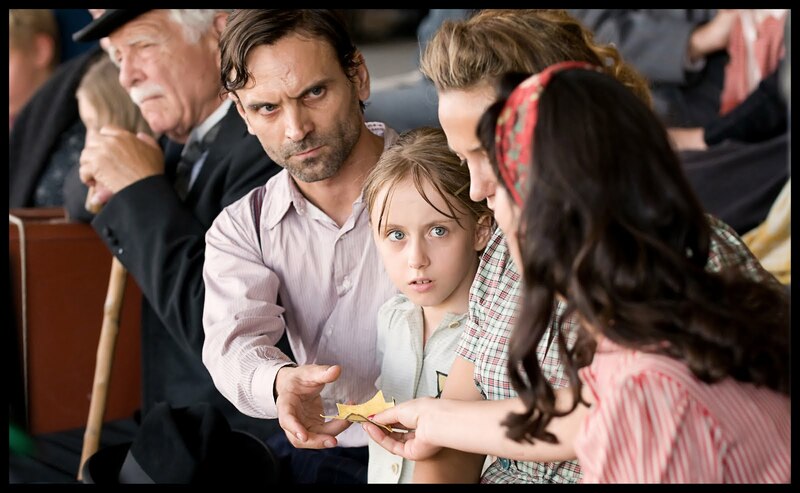 With clever intermingling of historical and modern narratives, the film captures the long term resonance of suffering across generations. On July 16 and 17, 1942, French authorities rounded up more than 13,000 Jews, mostly in Paris, holding them for days in filthy conditions at the Vélodrome d'Hiver, an indoor bicycle stadium. From there they were eventually transported to Nazi concentration camps, where most of them were killed. It's an excruciating episode in the French history of World War Two, as the arrests and initial confinements were perpetrated by the French authorities and the police. Sarah's Key builds a fictional story around this agony. Sarah Starzynski is a ten year old girl whose family is caught in the round-up. Just before they are driven from their apartment and transported to the Vélodrome, Sarah attempts to save her younger brother Michel by hiding him in a wall closet. She locks the door to the closet, keeps the key, and promises to return soon to free him. But Sarah, her mother and father are not returning to the apartment: they are held for days first at the Vélodrome and then in countryside segregation camps before being shipped to the concentration camps. In absolute desperation to return to her trapped brother, Sarah attempts a daring escape, and throws herself at the mercy of strangers to try and return to Paris. 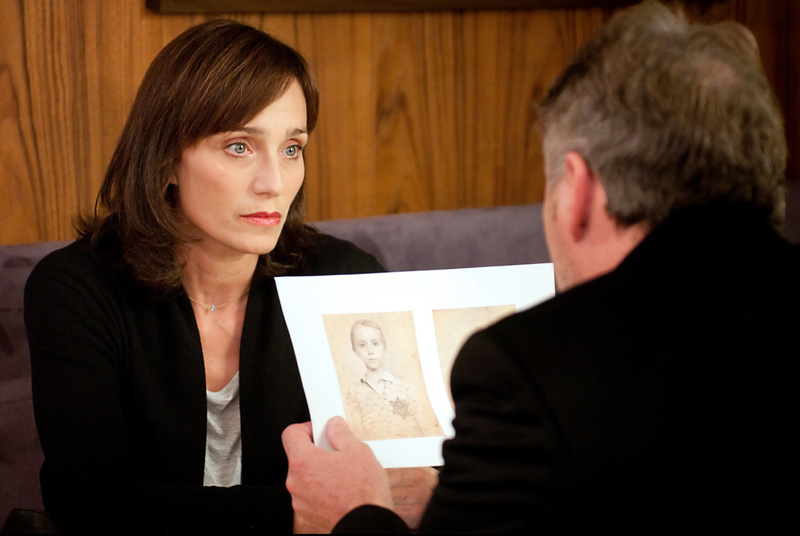 In modern day Paris, journalist Julia Jarmond (Kristin Scott Thomas) is investigating the events of Vel' d'Hiv. She is also struggling to stay connected to her husband Bertrand (Frederic Pierrot), a distracted businessman. Strain is added to the relationship when Bertrand is underwhelmed to learn that Julia is pregnant, and he wants no part in again being a father. Julia is just as stunned to learn that Bertrand's father grew up in an apartment vacated when a Jewish family was forced out during Vel' d'Hiv. She investigates the original occupants and identifies them as the Starzynskis. The records show that while Sarah's mother and father were transferred to the concentration camps, Sarah and Michel were not. With her personal life disintegrating, Julia sets her sight on determining what happened to Sarah and her brother, a journey of discovery that will take her from France to the United States and finally Italy. Sarah's Key works within a quiet intensity, avoiding, for the most part, excessive dramatics. Director Gilles Paquet-Brenner allows strength to grow from the sorrow of the material, as the suffering of a family torn apart spills onto the screen, amplified by Sarah's personal guilt over abandoning her brother while trying to save him. The guilt of Sarah is the guilt of a nation over the events of July 1942, and the script by Serge Joncour and Paquet-Brenner, adapting Tatiana de Rosnay's book, observes the propagation of stifled and conflicted emotions over the generations. Unusually for a film that operates in two different time periods, both the historical and modern stories work well. Sarah's story packs its own punch; Julia's story builds through an awakening to an incredible drama and the unpeeling of a doomed fate. As Julia delves into Sarah's story, she uncovers pain that trickled down the generations, Sarah unable to escape her demons in the same way that the French could never put Vel' d'Hiv behind them. A truth that tried, and failed, to hide under the blanket of the passing years finds peace when finally confronted with the light of day, Julia connecting with Sarah's family (including a late appearance by Aidan Quinn) and introducing her own daughter to the world in a sensitive denouement most touching in its fragility. Just as Sarah held on to her key in the hopes of saving her brother, acknowledging history's pain is one of the keys of hope for a better future.